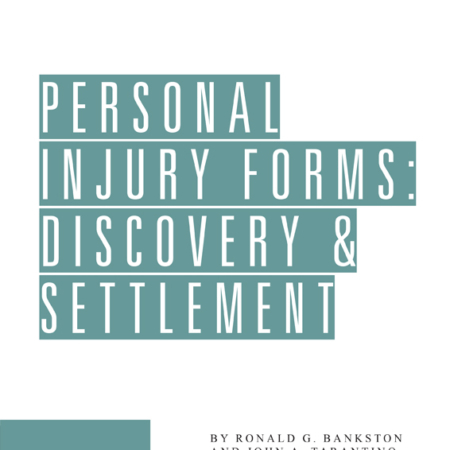 Strategies, angles of attack, and pattern cross-examinations for common fact patterns in 10 broad areas of civil law, including: personal injury, medical malpractice, employment, and insurance. Cross-examinations for the key witnesses in every fact pattern are annotated with practice points, technique tips and objections/responses based on the author’s four decades of in-the-trenches trial experience. 10 sample closing arguments demonstrate how you can effectively and persuasively bring home to the trier of the facts the concessions gained through cross-examination and explain the significance of them to the determination of the facts. Mr. Simpson draws a parallel between the drama of a trial to the writing, producing, and directing of a play. Witnesses are actors who need direction, and your role as a lawyer is to deliver the most important soliloquy at the close of trial. The book explains how to make sure your presentation is not dishonest, exaggerated, or contrived. Also included is an expanded discussion of causation as an element of a case, as well as a case law discussion of issues related to causation. Mr. Simpson explains how causation can be proved or disproved through cross-examination. Cross-examination is not a pleasant endeavor. You are attempting to discredit and perhaps embarrass someone in front of a room full of people. There are times when it will be necessary to go for the jugular. If you have your prey close to a fatal admission, you cannot let him escape because you feel sorry for him or you are scared. Your duty to your client is to expose him. Walter Simpson’s Pattern Cross-Examinations will show you how. Loaded with practice tips culled from the author’s 40 years of in-the-trenches experience, Pattern Cross-Examinations includes model cross-examinations for 59 witnesses (plaintiff and defense) in common fact patterns arising in 10 areas of civil litigation: auto accidents, premises liability, medical malpractice, breach of contract, employment discrimination, products liability, insurance policy litigation, civil rights, malicious prosecution, and civil assault and battery. Q: But you do agree that the plaintiff sustained severe, permanent injuries, isn’t that right? Q: And there is no question that the injuries were the result of the surgery done by Dr. Jones on June 15, 2007, isn’t that correct? This update to Pattern Cross-Examinations features 10 new sections, with model opening statements, cross-examinations, jury arguments, closing arguments, and more. These updates enhance this book as a source of reliable, practical advice based on decades of the author’s experience. lawyer in the Greater Kansas City Metropolitan area and was presented with the Lon O. Hocker Trial Lawyer Award. In 2001, the Kansas City Metropolitan Bar Association presented Mr. Simpson with the Dean of the Trial Bar Award, in recognition of 34 years as an outstanding litigator. Mr. Simpson has served as President of the Kansas City Metropolitan Bar Association and President of the Kansas City Metropolitan Bar Foundation. He is currently a member of the Board of Governors of the Missouri Bar Association. He has been included in The Best Lawyers in America, published by Woodward/White, Inc., continuously since 1997, and has held a Martindale-Hubbell Peer Review Rating of AV, the highest possible rating for Legal Ability & Ethical Standards, for 30 years.